Rural Development Partners (RDP) is pleased to announce its partnership in an historic expansion at the Sherwood Forest Youth Camp in St. Louis, MO. RDP contributed $8 Million of its New Markets Tax Credit allocation in support of Sherwood Forest’s mission to help children escape poverty. Since 1937, Sherwood Forest, an independent, non-profit youth development agency, has helped kids from low-income families in the St. Louis region escape poverty. It is one of only three organizations across the nation offering month-long residential summer camp experiences and year-round programming. Sherwood Forest believes education and opportunity are rights fundamental to all children and their mission is transforming the lives of children in need through powerful programs that allow them to discover their self-worth, realize their potential, and become successful adults. The project includes the construction of a 9,000-square-foot dining hall, a 4,200-square-foot outdoor learning center (with a library and STEM labs), 4,600 square feet of additional living space for campers and staff, and a 2,800-square-foot health lodge. Construction will be completed in time for full use during the summer of 2019. 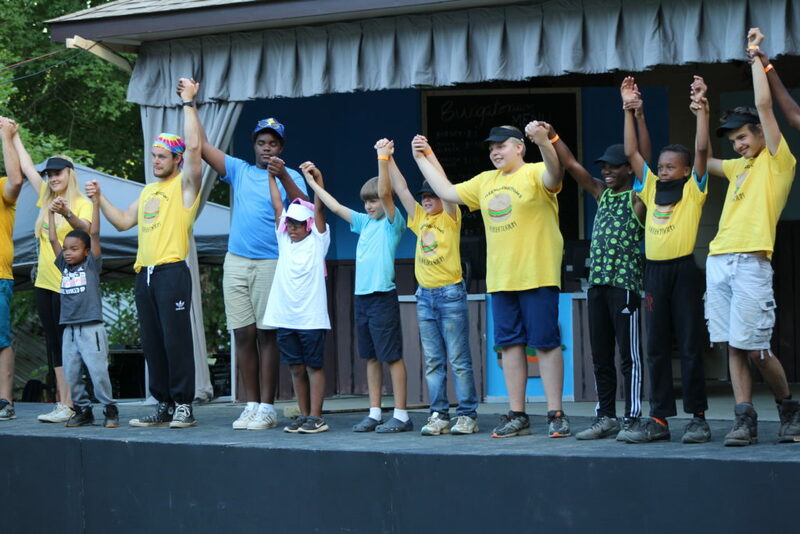 By the year 2020, Sherwood Forest will reach the goal of serving over 400 children each summer in addition to more than 1,100 in spring and fall school programs at the camp. See Sherwood impact.